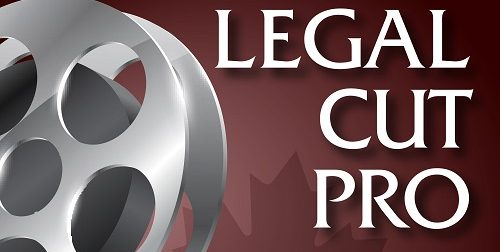 The Legal Cut Pro entertainment law podcast has officially launched. This project, hosted by Greg Pang and Michelle Molineux, is currently available on iTunes, Google Play, Spotify, Stitcher, Google Podcasts and Podbean. AMPIA’s Professional Development Committee is proud to sponsor RedFrame Law‘s podcast by providing Jane Toogood‘s editing services. Follow this page on the RedFrame Law website for current and upcoming episodes! AMPIA has just named its newest board member, Edmonton-based publicist Justine Gamez Huckabay. Justine is the President & Founder of Intercommunicate, a strategic marketing and communications firm helping entertainment and technology clients navigate international media. She founded Intercommunicate in 2018. Gamez Huckabay is an Award Winning International Publicist, who worked in Worldwide Marketing for Warner Bros. Pictures in Los Angeles. She led successful theatrical film campaigns such as The Hobbit trilogy, Gravity, Argo, Man Of Steel, San Andreas, among others. Her extensive global media experience was established through daily communication with top-tier international media and consistent travel to key markets, 15+ countries each year. Justine has worked on over 80 films from commercial blockbusters to artistic festival selections promoting them all over the world. In addition to working with traditional films, Justine is passionate about the convergence of entertainment and technology working with new media formats. She promotes VR, AR, and XR work internationally at festivals including Sundance Film Festival, SXSW and upcoming Tribeca Film Festival and La Biennale di Venezia. She started her career at 20th Century Fox in New York and Paramount Pictures in Los Angeles. Following Warner Bros. and an MBA at the University of Oxford, Justine was the Head of Strategic Communications and Marketing at the British Embassy for the British Council in Washington D.C. She focused on the United Kingdom’s arts, culture, education and civil society priorities with the United States before moving to Alberta with her husband. Justine is a three-time awardee by the IATSE International Cinematographers Guild. Selected by senior executives and peers across the major studios and agencies in Hollywood, Justine and her team were honoured twice with the Maxwell Weinberg Publicist Showmanship Award – Best Worldwide Publicity Campaign for Argo in 2012 and Gravity in 2013. She was also recognized with the Bob Yeager Award as an International Publicist who distinguished herself in and out of profession for the betterment of society through global expertise and humanitarian efforts. In London, Justine was nominated for the Women of the Future Awards celebrating Britain’s future pipeline of influential leaders. Justine graduated with an MBA from the University of Oxford. For undergraduate studies, she completed a Business Marketing degree at the University of Notre Dame. The Alberta Media Production Industries Association (AMPIA) is pleased to announce the finalists for the 45th annual Alberta Film & Television Awards, celebrating excellence and outstanding achievement in Alberta’s screen industries. A total of 600 class (205) and craft (395) entries were submitted for consideration into this year’s awards, resulting in 323 total finalists; 129 class and 194 craft. For this year’s awards 59 industry professionals outside of Alberta adjudicated the submissions. These productions, from commercials, new media, and both long and short form fiction and non-fiction are vying for 24 Class awards. In addition, Alberta’s talented screenwriters, costume and production designers, cinematographers, editors, directors, make-up artists, special effects artists, sound technicians and composers are competing in 33 Craft categories. Each winner shall receive the prestigious Rosie Award. Of all finalists, 155 are from productions based in the city of Calgary, while 141 are from Edmonton-based productions. There were also 24 finalists from other communities in Alberta, including 12 from Red Deer. As always, some Edmonton productions used Calgary talent. Similarly, some Calgary productions employed Edmonton talent. This should be kept in mind when comparing the breakdown. In Calgary SEVEN24 Films had the greatest number of finalists with 15, while Spotlight Productions had the second most, having produced or co-produced 11 finalists. With a total of 19, Mosaic Entertainment had the greatest number of Edmonton finalists. Handful of Films was right behind, having produced or co-produced 18 finalists. As for individual productions, Edmonton based Mosaic Entertainment’s “Caution: May Contain Nuts” has the greatest number of finalists, with 12. The production receiving the second most finalists is Calgary based SEVEN24 Films’ “Heartland,” with 9. The 2019 Alberta Film & Television Awards will take place at a gala evening presentation on Saturday, April 27 at the Edmonton Convention Centre in downtown Edmonton. The reception will run from 5:00-6:30 PM with the supper and ceremony running 6:30-10:00 PM. 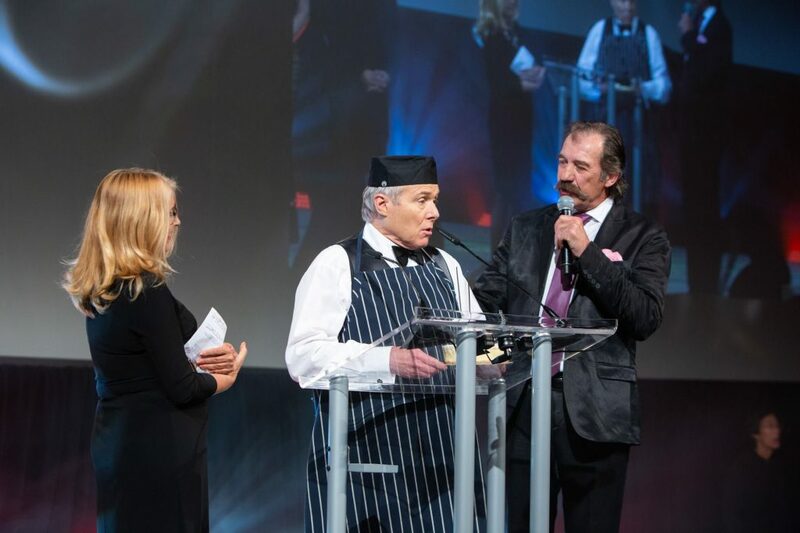 This year the Alberta Film & Television Awards, the oldest film and/or television awards event in Canada, is celebrating its 45th consecutive year of honouring its provincial production industry. In order to qualify for an Alberta Film & Television Award a production must be produced or co-produced by a production company based in Alberta. For any craftsperson to be eligible he or she must have been a resident of Alberta for the 2018 calendar year. Tickets can be purchased below! Please select the ticket level (premium, regular, member, non-member) that applies to you from our dropdown menu. Premium tickets are located closer to the stage. If you have any issues completing your ticket order, please contact info@ampia.org.